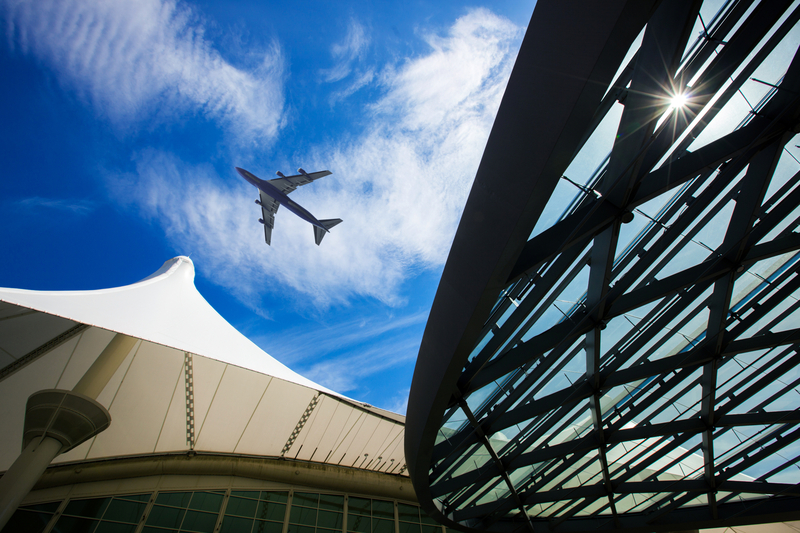 DEN Real Estate, a Division of Denver International Airport, is led by a team of real estate professionals which includes developers, urban planners, architects and engineers. Together we are developing, managing and leasing a visionary master plan that is approximately 16,000 acres at DEN into a series of commercial districts. DEN Real Estate offers leadership and support for companies who are looking to thrive in one of the most desired metropolitan regions in the United States. Our team has created a distinct business model to seamlessly guide clients through the leasing and entitlement process. As part of the city leadership team, we can steward long-term public-private partnerships that serve the greater good for businesses and the region. Darryl is responsible for strategy and oversight of DEN Real Estate and Denver’s Global Gateway development. Prior to his service at DEN, Darryl was vice president and development manager of Coventry Development Corporation, where he managed the day-to-day development activities of three major real estate assets consisting of mixed-use master planned communities in Colorado, Florida and Texas. He has also served as the director of planning and government affairs for Oakwood Homes and in development regulation and vision implementation for several municipal jurisdictions on both the east and west coasts. He holds a Master of City Planning from the Massachusetts Institute of Technology and a Bachelor of Arts in Landscape Architecture from the University of California, Berkeley. Laura provides oversight and management of specific strategies to ensure market driven implementation results for DEN Real Estate. She has participated in development and planning projects, both in the private and public sectors, throughout her career. She has consulted on many urban infill projects in the Denver area as well as across the country, including I-25/Broadway Station, St. Anthony’s redevelopment, Dahlia Square redevelopment, Stapleton International Airport and Redmond, Washington’s transit-oriented development. A native of Denver, Laura earned her bachelor’s degree from University of Colorado, Boulder and continued on to receive master’s degrees in Latin American studies and urban and regional planning from the University of California, Los Angeles. Laura is a bilingual Spanish speaker. Karlen manages specific projects within the DEN Real Estate portfolio and directs the marketing and financial analysis for current and potential real estate development projects, including the mixed-use transit-oriented development, 61st and Peña. He recently moved to Denver after an expansive role at a small private development company where he oversaw the asset and property management for a two-million square feet portfolio of mixed-use office, retail, hotel and multifamily development projects in Chicago, Washington D.C, and Pittsburgh. Karlen has also led the creative and strategic direction of the marketing and research division. Karlen received double master’s degrees in business and urban planning and policy from Roosevelt University and University of Illinois-Chicago, respectively. Kate manages key planning projects and the development of entitlement processes and design standards for DEN Real Estate. She is currently leading DEN’s Strategic Development Plan that sets the vision for Denver’s Global Gateway. She has more than 25 years of experience in the development and construction industries as both an attorney and architect, implementing the delivery of public and public-private development projects. Kate has a Bachelor of Arts with honors from Williams College, a Master of Architecture from Yale University, and a Juris Doctor from the University of Denver, Sturm College of Law. Elise works on projects from planning through construction within the DEN Real Estate portfolio. She has extensive experience in urban planning, community development and site design and works efficiently with a breadth of disciplines to bring projects to successful completion. Elise values the power of the built landscape to encourage community cohesiveness and has demonstrated success balancing the needs of divergent user groups. Elise was a college scholar at Middlebury College, holds a master’s degree in landscape architecture from the University of Colorado Denver and is a registered landscape architect in the state of Colorado. Marc manages the financial analysis of real estate transactions and supports active development projects as a project manager. Marc joined DEN Real Estate after several years with a private developer where he underwrote new acquisitions and oversaw the horizontal development and property management of a 500-acre master planned community in Parker, Colorado. Prior to a career in real estate he enlisted in the United States Marine Corps. Marc received a Bachelor’s of Science from Colorado State University and his MBA from the University of Denver. EMAIL: DEN.REALESTATE@FLYDENVER.COM OR CALL (303) 342-2880.